Canon-EOS tilt Canon-EOS macro adapter. 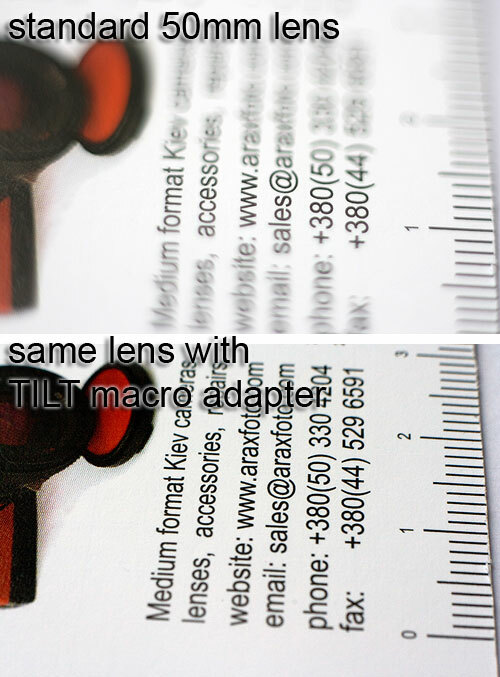 Tilt macro adapter to use Canon-EOS lenses on a Canon-EOS camera. 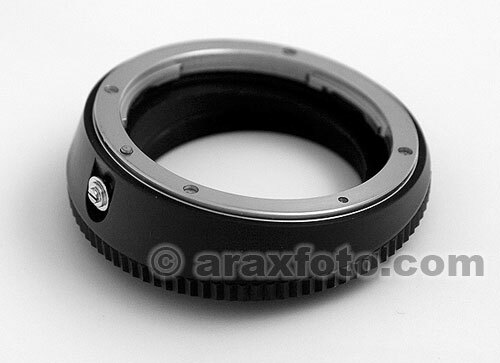 Solid, full metallic (not aluminium) tilt adapter allows install any Canon-EOS lenses on your Canon-EOS camera with fixed 11 degree tilting possibility and 360 degree rotation. It allow you tilt the lens in any direction. You can use all lenses with original Canon EOS mount on any cameras with Canon EOS mount. Using this new design, macro ring allowed you to control of perspective and depth of field using tilt movements similar to a view camera. Creative applications include increasing depth of field or decreasing depth of field, as seen in many fashion and product advertisements, where unusual focus effects are desired. Ideal for macro photography for controlling perspective and depth of field. A perfect solution for product table top photography including digital. No any electric contacts. You should use them in full manual mode. 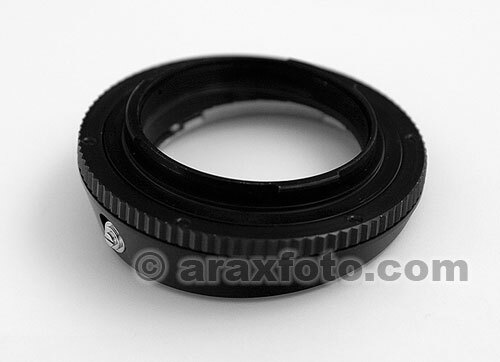 You can use this adapter on any lens without changing its focal length. Works in macro mode only and does not allow infinity focus. Minimum and maximum focus distances will vary with focal length and degree of movement used.